Meri Mannat Tu lyrics of Daawat-e-Ishq is sung by Sonu Nigam. 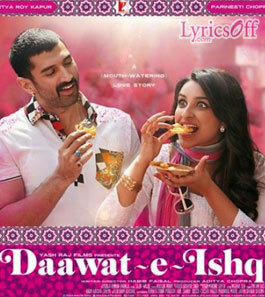 is a lovely song from Daawat-e-Ishq starring Aditya Roy Kapur, Parineeti Chopra and Anupam Kher. It is sung by Sonu Nigam, Keerthi Sagathia and Shreya Ghoshal. Kausar Munir has written its lyrics and composed by Sajid-Wajid.